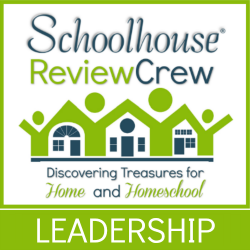 In our homeschooling endeavors, I love to incorporate a lot of good classic literature and living literature for our children. It builds their vocabulary, stretches their minds creatively, and teaches a whole lot about life and history along the way. However, our kids are like most of us who are avid readers. We love good reads, but at times something a bit more lighthearted is just what our hearts need at the moment. In the past, this has been a very challenging area to find reading material for our younger readers. Much of what has hit the market in this genre uses sarcasm, rebellion, and disrespect as the platform to gain the support and enthusiasm from the reader; the very same character traits we are trying to guide our children away from. Because of this past experience, I set out to read Diary of a Real Payne True Story Vol. 1 published by Barbour Publishing before giving it to any of the children in my life. I was pleasantly surprised by what I found. Diary of a Real Payne Vol. 1 is a softcover 188 page book about the antics and adventures of Emma Jean Payne. If you were to ask her, she would blatantly tell you that there are no adventures in her quiet little town of Spooner. What she is forgetting, like many of us, is that there is adventure in the day to day of life. That is exactly what this book is all about. The day in and day out adventures of a 10 year old girl in a quiet town who is looking for adventure and excitement. Her dad is the pastor of a local church. The author creatively uses this to introduce biblical truths and principles into the story line. After having read this book and finding it quite entertaining, I wanted to see what a girl the age of the main character thought. So I shared it with her and am now proud to introduce the thoughts of my co-reviewer. “I just finished reading the book, ‘Diary of a Real Payne’ by Annie Tipton. This book is about a ten year old girl named EJ ( short for Emma Jean) and all the crazy things that happen in her life. She also has a younger brother named Issac who loves dinosaurs and a dog named Bert. Her father is the pastor of a church, Spooner Baptist, and her mother is a Sunday school teacher. I loved EJ’s big heart, her imagination, and determination. I also loved this book because of the humor she has in all she does, as well as her hilarious daydreams. She can turn the most normal situation completely around in her mind, making you laugh until your belly hurts. For example, she took an ordinary shopping trip and turned it into a car race! Another time, she turned her washer into the President’s transportation helicopter. Can you guess who was the pilot? EJ, of course! My very favorite part of the book is at the end when EJ learns her friend’s family are losing their house and can’t have Christmas. EJ’s love and compassion shines through in what she does to help people who had been mean to her in the past. When you mix these types of insights in with good clean humor, you have a winning book in my opinion! 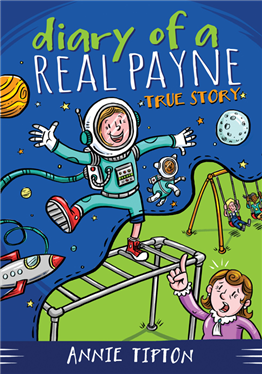 Diary of a Real Payne True Story Vol. 1 is written for readers who are between the ages of 8 and 12. It normally retails on the publisher’s website for $5.99, but is currently on sale for $4.49. The second volume is due to be released in March 2014. You don’t have to take my word or my co-reviewers word. Check out what others at the TOS Review Crew as saying. Dawn, thanks for your review! I am so encouraged to hear parents and kids alike are enjoying EJ’s adventures! Annie, thanks so much for stopping by. We are anxiously awaiting this Spring when Volume 2 is released!! !